In our previous post we outlined what you should have in your first pet first aid kit. But what if there is an actual emergency? If your dog is injured, stops breathing or is bleeding profusely, would you know what actions and steps to take? The American Veterinary Medical Association lists thirteen (13) emergencies that should receive immediate medical attention. No one likes seeing red (well maybe some horror movie fanatics and medical students) and usually with copious amounts of blood, we tend to panic. Instinctively we will want to find the source of the bleed and examine it, but this should be left to the professionals. Too much bleeding can be life threatening and so the first order of business should be trying to stop it (within 5 minutes). Grab out the gauze/towels from your pet first aid kit and apply direct pressure. Do this for at least three (3) minutes before checking to see if the bleeding has stopped. You can then take some adhesive tape to hold the bandage in place, while you are transporting your dog to the vet. Last summer was brutal. In fact our veterinarians had seen an influx of animals who were being treated for heat related issues. Keeping your pet cool (especially for those with longer coats), and hydrated is extremely important. Another important thing to remember is to NEVER leave your pet in a car on a hot day, as the temperature in a car can rise to dangerous levels relatively quickly. If you find that your pet is suffering from heat exhaustion you’ll want to first move them into a shaded area out of the sun. Then without covering their eyes and nose, take a cold wet towel and place it on their neck and head. After a few minutes squeeze the towel, wet it again and start the process over while you get your dog to a vet. Sometimes towels aren’t available and if you have a hose nearby you can run water over your dogs body to keep him cool. Watching your beloved dog have a seizure is one of the scariest things that you could ever witness. Most people panic and breakdown in tears. Others try to step in and control the episode. First and foremost you must remain calm and second, DO NOT try to stop it or comfort your pet. Yes, it’s difficult to watch, but many times your dog won’t know what’s happening and could end up hurting not only themselves but you as well. You will want to make sure that your pet is in a safe space and clear out anything that is in the way or that could harm them while the episode is taking place. Seizures typically last 2-3 minutes and you will want to time it for the veterinarian. While it maybe a lot to ask, if you can get out a camera or your cell phone to record the seizure that will help with your vets diagnosis. When the seizure has finished call your veterinarian right away and then they will be able to assist you on what to do next. If you are inclined to do so, you can also take their vitals (temperature, heart rate and breathes per minute) and provide that to your vet. Dogs are curious creatures and that’s what makes them so adorable, but it’s also what makes them prone to ingesting dangerous toxins and objects. In the event of a poisoning, it’s important that you identify what exactly your dog ate. Then you’ll need to call either your veterinarian or The Poison Control Hotline (there might be a fee associated with this call). Be sure you have your pet first aid kit nearby, you could be asked to give your dog something to help induce vomiting. *If your pet has swallowed anti-freeze, it might be absolutely necessary to induce vomiting. Many of us have been to a C.P.R. class, and some of us are event certified. But not too many individuals are properly trained, let alone shown how to perform C.P.R on pets. There are a variety of reasons that your pet could stop breathing, but what should be your top priority is to get them breathing again. Within minutes your pet could die without oxygen flowing to the brain. 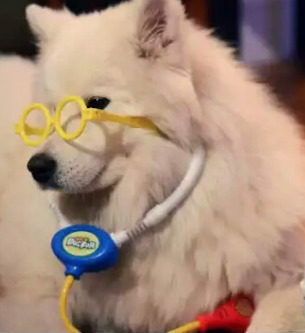 If you are unable to get to a veterinarian or emergency clinic fast enough (which most won’t be able to), you’ll need to perform resuscitation on your dog. Chest should be done as well. The ratio is the same as humans 30:2, until your pet can breathe on his own. For more information on the latest guidelines on pet C.P.R. you can go here. While this isn’t a comprehensive list of what to do in all emergencies, it will give you a head start. Our canine friends put all their trust in us and the least we can do is educate ourselves on how to better care for them if they are in dire need of help. Do you have any other tips or suggestions to help pets in the event of an emergency? Comment below and share with us. ← Pet First Aid Month-Get Your Kits Ready!